Summer (hopefully) means lots of time outside. This can put a tax on your hair with the sun and ocean salt-drying out your tresses. It's the perfect season to drop the heat styling routine and embrace natural hair as a means of protection from further dehydrating your locks. Get regular trims. Not only as a means of keeping you cool, but as hair grows faster in the warmer seasons and is put through more distress there are more split ends. Cut off the ends for healthy hair and making it easier to detangle. Leave in conditioner is your friend. Comb leave in conditioner through your hair before you head to the pool or beach if you won't have time to wash out the chlorine or salt right away. It will leave your hair silky soft and protect if from absorbing too much of these harsher elements. Protect it with UV serum. "What? Sunscreen for my hair???" you ask? Yes! This exists. It important for your hair's health in general but ESPECIALLY important if your hair is color or chemically treated in any way (suggested products listed below). If you're unable to get one of these I also suggest wearing a hat or scarf and/or running your hands through your hair after rubbing sunscreen on your body or spray it lightly on. Deep condition / hair mask. You don't have to do this every week (though it wouldn't hurt!) but it's good to try for at least once a month. 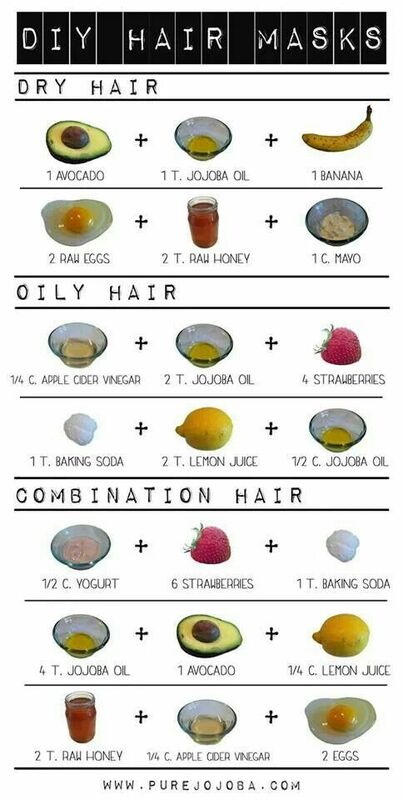 While I love simple DIY hair masks that are 3 ingredients or fewer (THIS infographic is my jam) there are less messy, store bought options available as well. Some are even packaged for travel! Clarify! Clarifying shampoo is to daily shampoo as deep conditioning hair masks are to daily conditioner. Replace your regular shampoo routine with this every other week or once a month. A lot of chemicals, products, salt, minerals, etc can build up in your hair over the summer and create dullness or fade your color. A clarifying shampoo counters this by removing any unwanted residue and styling products that coat your hair. Buy one of the below products or DIY your own with ¼ cup apple cider vinegar and 2 cups water. Rinse and condition! Embrace your natural hair. This is practically a movement right now, so just jump on the bandwagon. Skip your blow dryers, curlers, straighteners, etc and get comfy with your God given texture. Try a messy bun, loose braid, air-dried wavy curls, etc. Get on Pinterest and get creative! (See 30 Summer Hairstyle Ideas to Copy When It’s Just Too Damn Hot). I personally have been living in braids or loose beach waves all summer (see #7). Fake the beach hair. Loose, salty beach waves just scream summer! Spritz some beach spray (like my favorite pictured above) into your hair and scrunch it for a tousled, "I totally could be a surfer girl" vibe. I also like to section off my lightly damp hair into 8-10 pieces and spritz this in before letting them air dry separated. 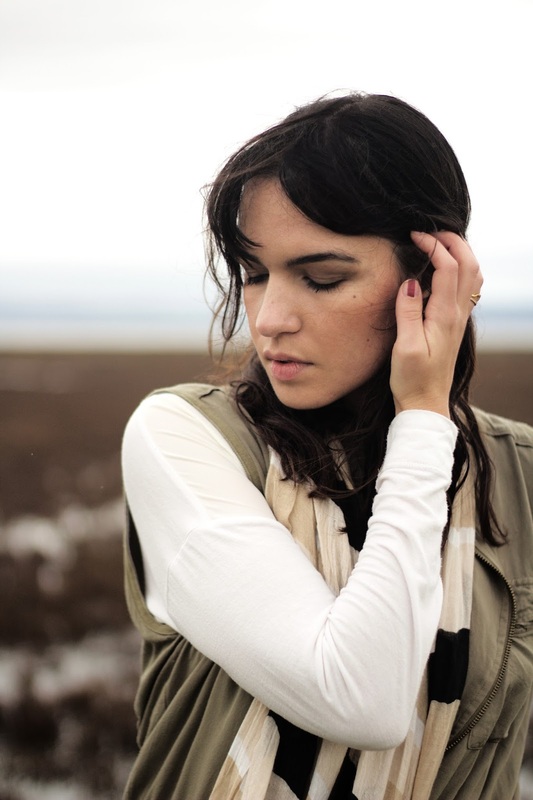 Once dry just brush through with your fingers for a relaxed, California hairstyle. Fight frizz with moisture. Instead of straight-ironing the frizz away supplement your hair with a frizz oil or serum. 1-2 drops of this can add shine and help prevent or tame frizz and fly aways. Just don't use too much or you'll weigh your air dried hair down. PS: Keeping up with the trims, hair masks and regular conditioning will help prevent frizz in the first place! Switch to a wide tooth comb! When detangling wet hair don't use a brush. This can be too hard on your fragile strands when they're wet and cause them to break (creating frizz and split ends). A wide tooth comb gently separates your hair and is perfect for combing product through. Wash your hair, for the love of your scalp! With dry shampoo challenges becoming all the rage there are many people bragging about not washing their hair for 1-2 weeks (mmm...yummy). Like all things, skipping a wash is only good in moderation. It's important to wash your hair for the health of your scalp. This doesn't mean wash your hair every day, twice a day. But instead of washing once a week, try every other day. You can even do a cleansing conditioner. It's important to massage your scalp and make sure it doesn't dry out or build up bacteria. Don't believe me? Read 6 Reasons You Actually Do Need to Wash Your Damn Hair. Ouidad Moisture Lock Leave-In Conditioner (travel size) - Creates a "moisture foundation" by infusing strands with conditioning proteins vital to healthy, great looking curls! It's a 10 Miracle Leave-In Product - Repairs dry damaged hair, adds shine, smoothes & controls frizz, seals & protects hair color, detangles, prevents split ends, stops hair breakage, creates silkiness, and enhances natural body. 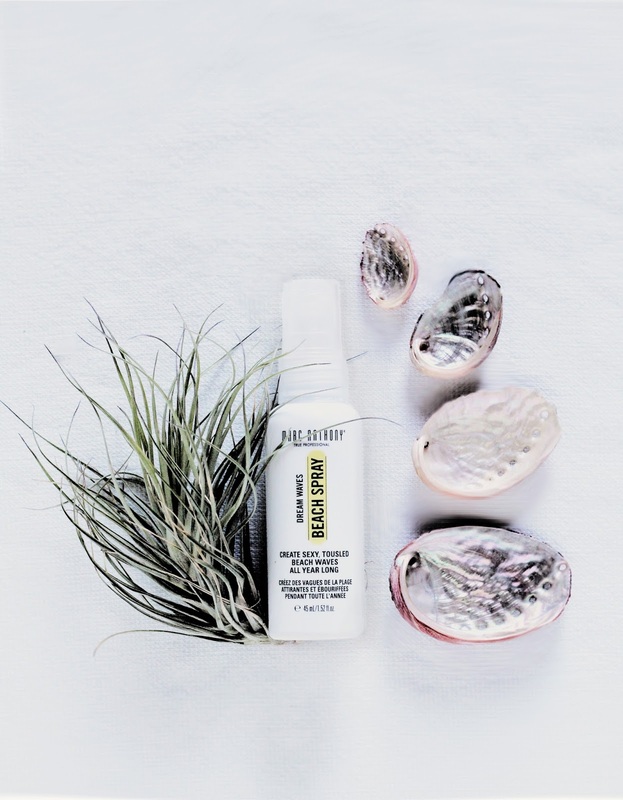 Bamboo Beach Sunshine Spray - Provides UVA/UVB protection combatting damaging effects of the sun, pool, and saltwater, and tames frizz and flyaways for noticeably softer, less frizzy, and super-vibrant strands. Sunscreen Care Oil Spray Broad Spectrum SPF 30 - A water-resistant, non-greasy dry oil to promote a healthy-looking tan and beautiful hair. Pacifica Coconut Damage Mask - Coconut, rice and super fruits come together in this innovative formula designed to help restore and protect your hair from damage and pollutants. DPHUE Color Boosting Gloss + Deep Conditioner - A semi-permanent hair color with deep conditioner. Bb Clarifying "Sunday Shampoo" - This weekly detoxifying shampoo removes buildup and residue. OBLIVION Clarifying Shampoo - Gentle cleansing and thorough removal of all buildup. Mild enough for daily use. L'Oreal AIR DRY IT Wave Swept Spray - Give Your Hair a Heat Break. 24 HR Flexible Control. Frizz resistant. Soft, Touchable feel. No residue. Bb. Don’t Blow It Fine (H)air Styler - A first-of-its-kind hair cream that enhances texture and body for the perfect air-dried style. Kristen Ess Cleansing Conditioner - This cleansing conditioner is so amazing for curly girls, frizzy hair, humidity control and damage - basically anyone lacking natural moisture. When worked through, FRIZZ MANAGEMENT gets hair clean while natural oils remain intact to moisturize and restore. ORIBE Smooth Style Serum - Anti-frizz finisher that controls flyaways, seals split ends, and adds shine. Fromm Diane Wide Tooth Shampoo Comb - detangles curly textured hair and conveniently hangs in the shower. Detangling Comb - Effortlessly detangle wet or dry hair. Perfect for distributing product through hair with ease.